For the last few years I have put together fitness display teams. 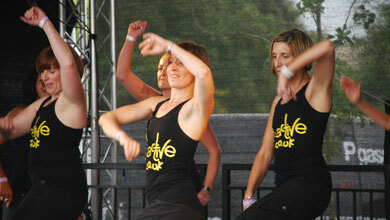 In 2010 we had a Yoga, Aerobics and Step team and we displayed at Rose Hill Primary School (in Oxford) summer fete. 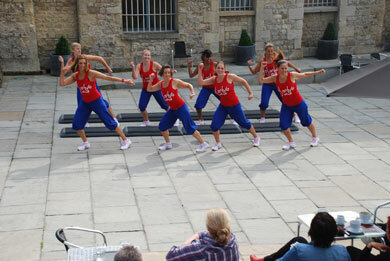 In 2011 we displayed the Step team at the Cowley Road Carnival in Oxford. 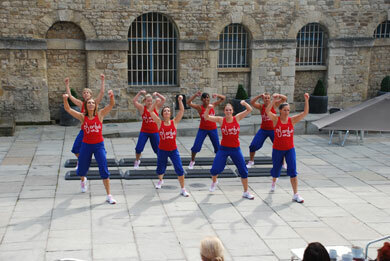 In 2012 we took the Step display team to the Castle Complex Festival for Local People in Oxford. 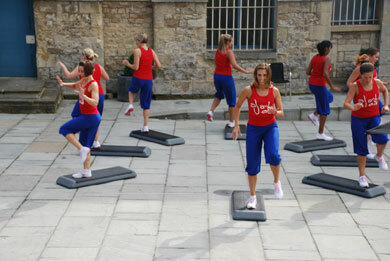 Also the Step display team feature heavily in the fitness promotional film on the homepage and on our Youtube channel. Team work creates an alliance with your other team members, a bond that out of commitment to the team and wanting to do your very best, rewards with wonderful warm friendships! The Teams are always made up of class participants, very few have performance backgrounds but we work together to learn the routines to be able to demonstrate and inspire others to have fun and get fitter. 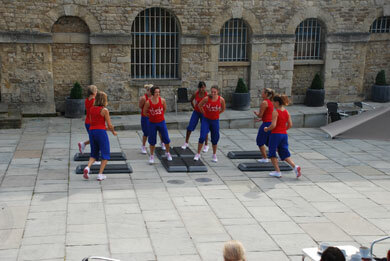 With the obvious addition of extra training the Team member improves their fitness and confidence whilst enjoying the feeling on being pushed a little with their memory capacity! 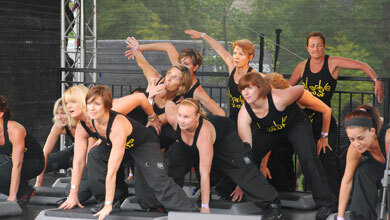 All abilities and fitness levels welcome but be prepared to be challenged and have the flexibility to be able to commit. When in training for an event, Fridays 6.30pm. 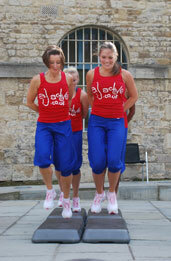 Contact anginette@ajactive.co.uk for an up to date schedule. Team practice does not run every week or all through the year.